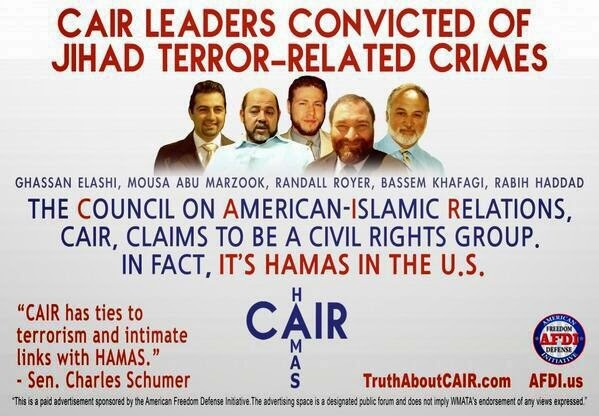 More than 90 percent of honor killings worldwide are committed by Muslims, yet Muslim organizations like CAIR and ISNA assure us that this correlation has nothing to do with religion. Indeed, as soon as we start pointing out the relationship between Islam and honor killings, we're labeled "racists," "bigots," and "Islamophobes." 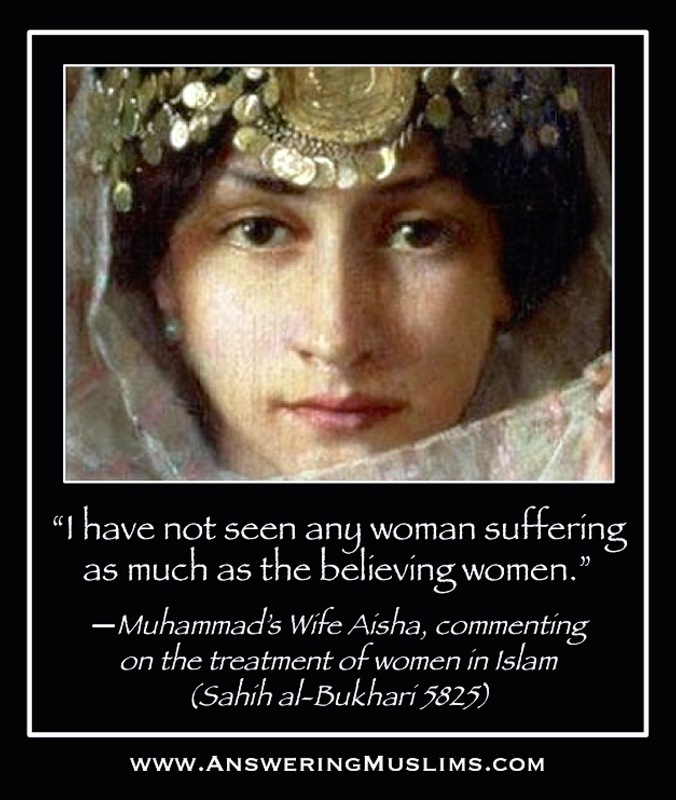 The goal of such name-calling is to silence critics, so that the Islamic oppression of women can continue unabated. But if we allow ourselves to be silenced, women and girls will continue to lose their lives for the sake of religious "honor." It's time for Westerners to start valuing people's lives more than we value not being called names. BBC News—A mother of three from Manchester was murdered by her husband for becoming "too westernised" and "establishing an independent life", a court has heard. Rania Alayed, 25, went missing last June but her body has never been found. 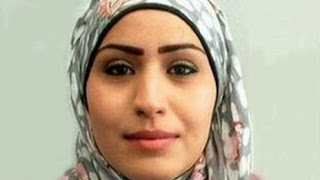 Ahmed Al-Khatib admits causing her death, claiming he was "possessed of a spirit" when he pushed her, causing her to stumble, fall and bang her head. Al-Khatib, 35, of Gorton, and his brother Muhaned Al-Khatib, of Salford, both deny murder. Syrian-born Ms Alayed went to drop off her children at the flat of the defendant's brother, where she is said to have been murdered. Muhaned Al-Khatib, 38, left the address with the children some 45 minutes later and shortly afterwards Ahmed Al-Khatib walked out wearing some of her traditional clothing with a suitcase containing her corpse, the Manchester Crown Court jury was told. Muhaned Al-Khatib said he was not present at the time that any violence was used against Ms Alayed and did not bear any responsibility for her murder, the court heard. It is alleged that in the early hours of the next day the two brothers, and another sibling, drove her body from Manchester to North Yorkshire where she was buried. The prosecution told the jury the mother of three, from Cheetham Hill, had been "in fear of her husband" and "believed he might one day kill her". She had sought help from the Citizens Advice Bureau, the police and eventually a solicitor which had angered her husband's family, the court heard. Tony Cross QC, prosecuting, said: "The family of the defendants were insulted that she had gone to the law. They wanted her and her children back within the family fold. "They believed that she was establishing an independent life, perhaps with another man. Therefore, it was decided that she should either be forced to comply or be killed." Mr Cross added that in her husband's eyes she "began to become a little too westernised and had friends, male and female". Can I ask you a genuine question? It's very clear listening to your lectures and reading your articles such as this one that you view Islam as a genuine existential threat to the West. Additionally, you go out of your way to actually prove that this is the case such as this article and many others showing the barbaric nature of Muslims when they follow Islam and the heinous actions that they commit as a result of the faith they believe in. Moreover, you have even used the texts of Islam to show everybody how much of a threat you believe it represents to you and to the West in general. You have dedicated a lot of time and possibly money to this cause but there is one major problem; there is no conclusion, there is no action plan, no clear-cut or logical end goal in mind to supplement this rhetoric. Let's cut the political-correctness out. The facts are that there are 2 million muslims in the US and since you live there, it's logical to start there. This religion is very old and goes back over a thousand years, it's hopelessly unrealistic to expect the 2 million adherents residing in the US to do a U-turn and leave the faith they inherited from their ancestry, it's simply not going to happen. Nor can we expect even a quarter of that to radically change their views on the faith, including but not limited to adding/deleting portions of the quran that they believe to be the word of God, it's hopelessly unrealistic. So the question then remains, what is to be done to this religion that you believe so passionately to be a grave threat and danger to the Western civilisation and what is to be done to its adherents who practice what you believe to be this archaic narcissistic faith? There's a sense of urgency in your articles and lectures, one gets the impression that we clearly "need to do something about this", but what? How will you stop this faith? It's amazing how yourself and your colleagues in this fight like Robert Spencer amongst others, complain all too often about political correctness and yet you're unable to say what you think should happen precisely because of political correctness. There is not a single action plan you have devised that can tackle this problem head-on. We all know that hypothetically, if every single moderate muslim condemned all extremist muslims, this is not going to cut it, because at the end of the day they are still muslims and believe in Islam and believe that the quran is the word of God, so this still represents a problem and there will always also be extremists somewhere in the world. We also know that the millions of Muslims in the west are neither going to suddenly convert out of Islam or change their text which they believe to be the literal word of God, all because David Wood wants this to happen. Some discuss closing of some mosques, others say close down all mosques. Yet others suggest but maybe are too afraid to say it outright that all muslims should be deported and "go home" so to speak regardless of where they were born and where they come from. Others have equated muslims in the US to the Japanese in WW2 and that internment camps are perhaps a necessity in this fight against Islam? I don't know any of this is your goal but if it is, you shouldn't be afraid to say it, it's a win-win. Like-minded Christians will help you get to that goal and Muslims will know what's coming to them. Allen West at least very clearly stated right at the end of one of his lectures that he will not stop fighting Islam until a Church is built in Mecca. This is a very clear goal, at least he has a vision and a clear picture of what he wants. The restriction of muslims to practise their religion until Christians can do likewise in Saudi Arabia. Do to muslims in America what Saudi Arabia is doing to Christians basically. This is the only end-goal I could find in all the rhetoric. What do you think should be done, what tangible action should be taken to eliminate this threat? What is the final solution David? The absence of any mention of honor-killing, Islam, Sharia, muslim, in the report is because the BBC is tainted: it has many muslim employees and reporters. "A mother of three from Manchester was murdered by her husband for becoming "too westernised" and "establishing an independent life""
Whoa, islamic orthodoxy puts latin machismo in a corner. The worst is that her own family was into it. Disgusting. Being independent = amoral. Plotting and killing your own flesh and blood for being too independent = moral. Nice set of morals the "religion of peace" teaches to its adherents. It is amazing how Mr. Mohamed (committed above) did not address any of the evil teaching of Islam and instead want to get an opinion! I tell you what should be done at least. All Quran should be pulled out of libraries and banned because it teaches evil and hatred ... what you think about that? This is a main teaching in Islam and it is evil to the core. Now you tell me Mohamed why people in the West don't see that? You know about it what you think about it? is this not evil? Why are you silent about it? I was lucky that I made it out ... what about others! What are you doing about it Mr. Mohamed? You are a mendacious disingenuous creep. Your "final solution" rhetoric is beyond parody. 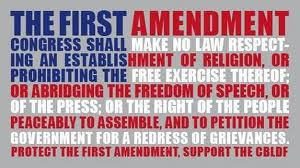 I was just asking David Wood a simple question, David has first amendment rights in the US to say what he pleases. When a person toils day and night highlighting the list of grievances they have about Islam in the West and Muslims in the West and how 'evil' it is and how much of a 'threat' it is without mentioning what exactly should be done about it, then it is left up to the reader/listener's imagination as to what the next step should be, that's where the problem lies. Human imagination doesn't have a limit, as we have seen in Germany 1944. LOL! Notice that Mohamed can only think in terms of violence and genocide. If I criticize violence, it's because I really want to go on a killing spree, right? Typical. Mohamed is trying to carry on the CAIR strategy of claiming that anyone who speaks out in defense of women actually wants to kill Muslims. Thus, critics need to keep their mouths closed, and the abuse of women continues. For your information, Mohamed, some people battle ideologies with information, not with guns or grenades. I'm convinced that Islam cannot withstand criticism, which is why Muslims like you are so desperate to deflect criticism by demonizing critics. Once the facts about Muhammad (the prophet, not you) are known, people won't convert to Islam, and many will leave it. Hence, I'm convinced that Islam will cease to be a threat when the truth is known. No violence needed for that. So the end goal is just to try to stop conversions to Islam and to persuade Muslims to turn their back on the religion of their forefathers. Is it because the people trying to clamp down on qurans and ban mosques etc. are the ones opposing the freedom and the constitution that they so cherish? 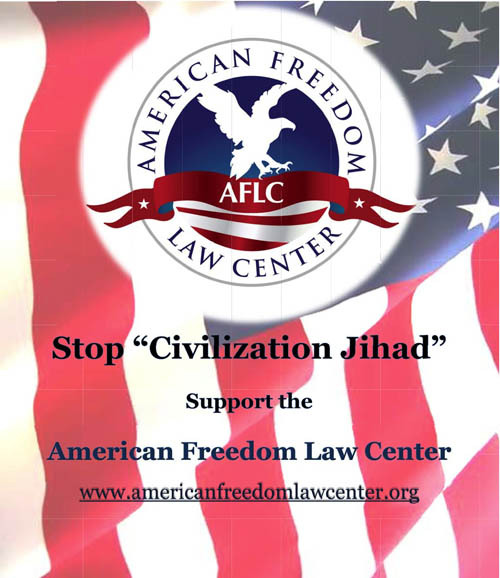 Allen West, Robert Spencer (maybe a few others in the US) and also a fair few of your own loyal followers on this website and other places don't seem to have too much of a problem holding the first amendment in the right hand and calling for the prohibition of Islam and Islamic worship on the left. I thought you might join them at the very minimum. Especially if the situation is as urgent and dire as you portray it to be. If I may say that David speaks the Truth.....John 8:32 And ye shall know the truth, and the truth shall make you free. I believe David is doing something about Islam....here and now everyday on this blog, ABN, and debates, he is making some people reconsider, and stopping others from going to hell for eternity.....so what exactly do you mean about what his plan is.....that is his plan....and I think it's working. It would never cross my mind to ban the Qur'an or a mosque. I wish that everyone would read the Qur'an (and the commentaries, and the hadith, and the sira). It would make my work much easier! Mohmed, it seems like you are threatened by the truth that Mr. Wood shares and that you hope to show him as a violent man; the same as the Muslims he teaches about. Your tactic reminds me of how the Pharrasies used to try and accuse Jesus in hopes that he would fall victim to their tricks. Ha! But just like Jesus beat the Pharrasies at their games, so did Mr. Wood beat you. He doesn't want to deprive you of your holy books or your place of worship because as an American we honor freedom of religion. All he wants is for you to actually READ your holy books and see the errors in them so that you will seek the Truth and be saved. Jesus is the Truth. Of you seek him you will find him. I pray you and the other billion Muslims in the world will geniunely seek God. In Jesus' Holy Name, I pray. AMEN. I think David is using the right tactics. Once more people know the true nature of your "faith" we might just have a serious debate about whether islam should be classified as a religion, or something else. Currently I expect most non muslims, religious or not, believe that the followers of islam pray to the same God as do Christians, but islam just has a higher percentage of nutters than other religions. This is clearly not the case, and David and his colleagues are waking up more and more people to the facts every day. "So the end goal is just to try to stop conversions to Islam and to persuade Muslims to turn their back on the religion of their forefathers." Christianity was around long before (600 years) Muhammad and Islam in the now Islamic countries. But the people in those areas foolishly rejected Christ, who is the only means of salvation, in favour of that old criminal Muhammad. When Muslims realize that the religion of their Islamic forefathers is based on lies and deception, then one should think that they will wake up to themselves and shift back to the religion of the Christian forefathers who preceded the Islamic ones by 600 years. From the news report- "claiming he was "possessed of a spirit" when he pushed her and shortly afterwards Ahmed Al-Khatib walked out wearing some of her traditional clothing"- Being possessed by a spirit and wearing woman's clothing reminds me of Momo. This can't be coincidence!! That same destructive spirit is manifested in the followers of Momo. Just Wow!!! "This religion is very old and goes back over a thousand years, it's hopelessly unrealistic to expect the 2 million adherents residing in the US to do a U-turn and leave the faith they inherited from their ancestry"
Whoa, whoa, whoa! That's quite a big assumption, isn't it? That all muslim in the US have inherited their faith from their ancestors. It also raises some questions. Are all muslims in the US muslims because their ancestors were so? Is none of them is convert to islam, for example, for prison, or to be able to marry with a muslim/muslima? Great posts David! Keep up the good work. You, Sam, and Nabeel are very knowledgeable, I watch you all as much as I can. True followers of Jesus Christ do not resort to violence in order to make their point or point out the truth. Yes I totally agree with David Wood that we do not need to burn the quran or ban mosques, people should just read the book for themselves and they will find how horific it is and then they will leave Islam. That's it. The truth is mightier than the sword. Wow, Mohamed your post speak volumes about your sectarian mentality. Can I ask you a question back getting back to the topic of the murder of a married women? What do you think about married women who wish to separate from their husbands and begin "establishing an independent life" (the quote is from the BBC report)? Does that sit easy with you? If it does, do the teachers of religion in your mosque support women in this position - if not - why not? When you think about this try not to allow your sectarianism to colour you answer - rather, speak truthfully. This woman is more beautiful than the culture she was born into, more worthy of life than the insect of a husband who killed her. Nothing but a veil for your genuinely felt hatred and contempt for pro-Western activism. The religion is old . . . it is also profane. Every profession you make about being civilized is a lie. The Quran is not the word of God. The Word of God was written by the Hebrews in captivity and the Christians in early Antiquity. Salvation does not come from the Arabs.